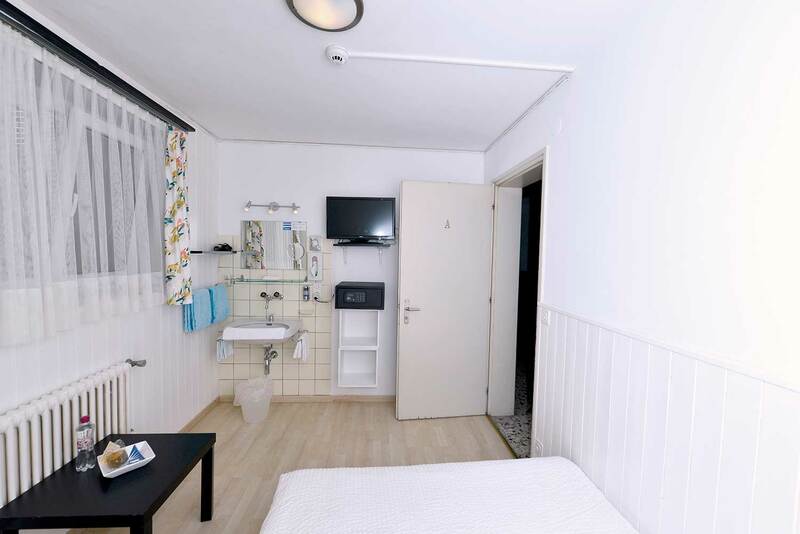 Very simple rooms on the ground floor with floor-toilet, only 3 rooms, 2 smaller ones (9 M2) with a French bed (140×200) and a larger one (14 M2) with 2 beds 90×200, very good value for money and neat. 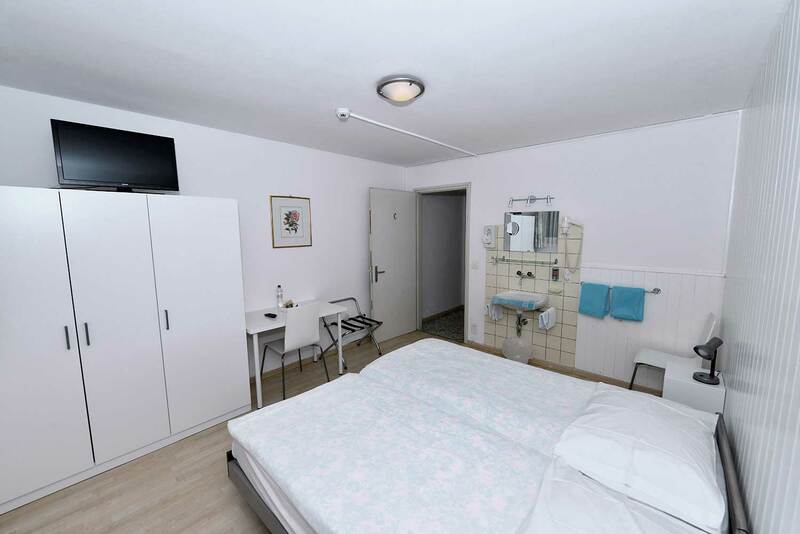 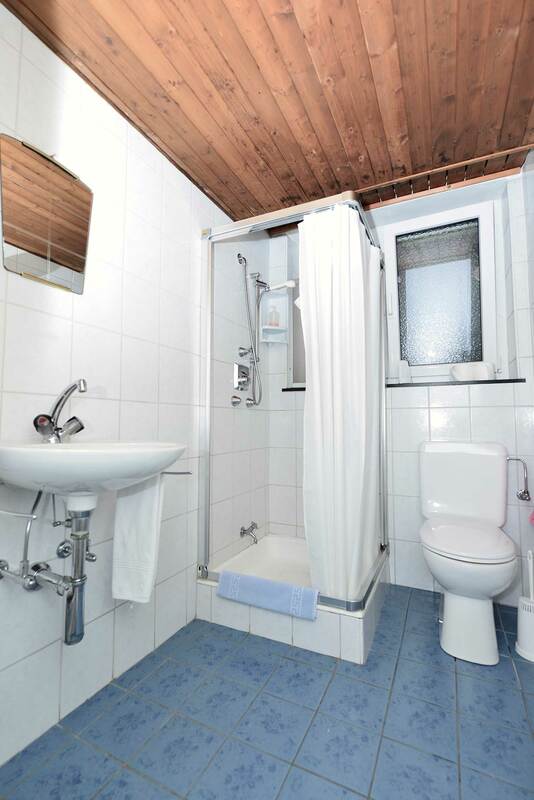 These rooms are equipped with: sink, hairdryer, cable TV, radio, bay windows, Wi-Fi, safe and laminate flooring. 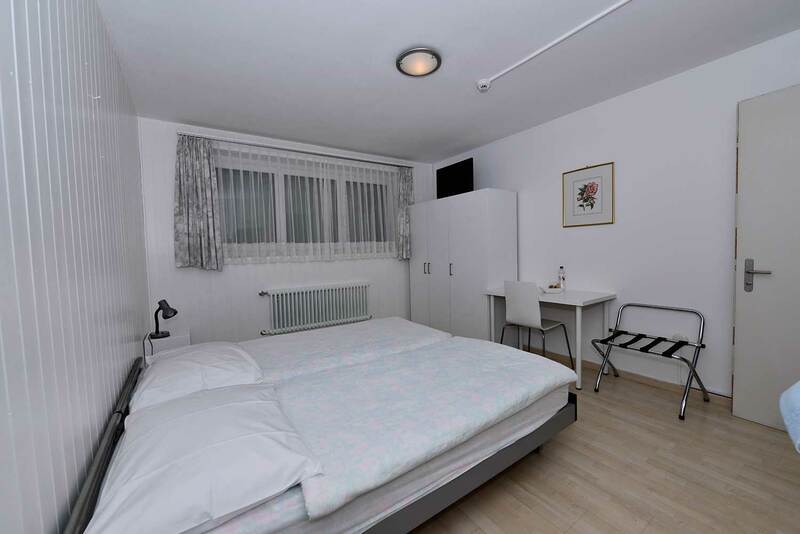 In the bigger room it is possible to add an extra bed. 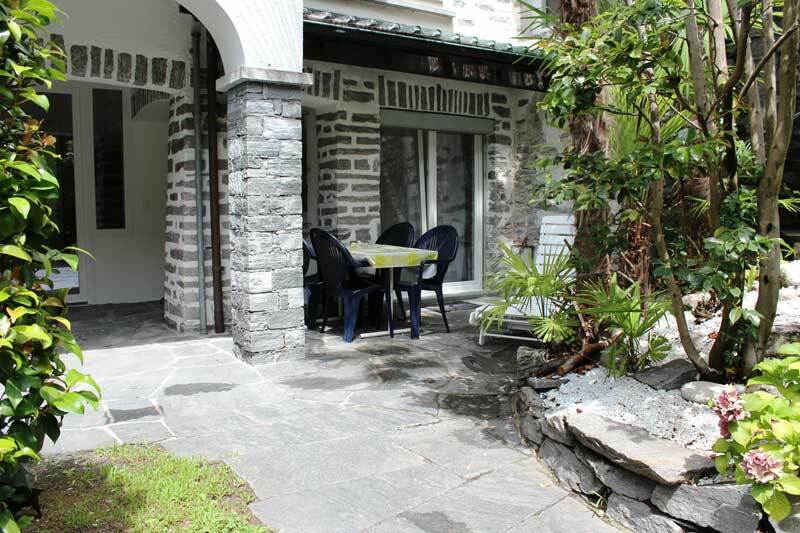 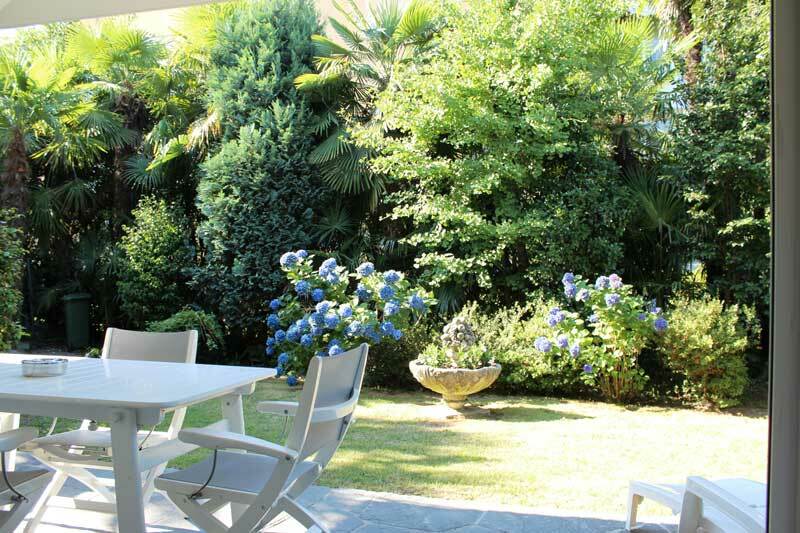 Prices per room from CHF 55.- / 80.- (for 1 person) to CHF 85 .- / 120.- (for 2 people). 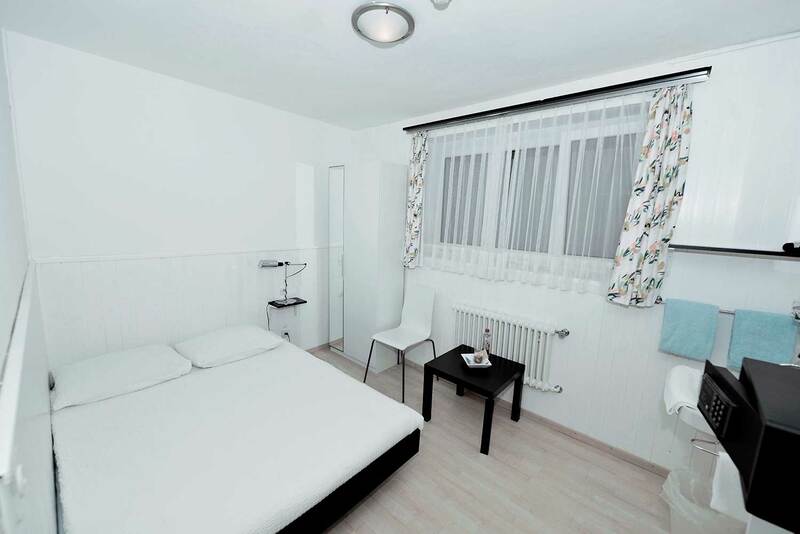 These rooms can only be booked directly at the hotel (by e-mail & telephone).